Today, Will continues to carry on the family tradition. Although his style is reminiscent of that of his celebrated great-grandmother, it is more complex and sophisticated. Basically self-taught, Will has honed his technique to capture all the most minute details in sharp-edged focus. It is a technique that has gained him considerable attention in art circles. Will Moses has had several well acclaimed exhibitions of his work in the United States, Canada and Japan. The Japanese are enthusiastic collectors of Will's art and Will has personally toured Japan with an exhibition of his work there. In North America, Will continues to make appearances at art galleries and folk art shows, meeting friends, collectors and admirers of his work. Recent public exhibitions of Will's work have taken place at the Cahoon Museum of American Art, The Everson Museum, The Bennington Museum, the North Shore Art Gallery, the President Ford and Reagan Libraries and The Mazza Collection of Children's Book Illustrations and The Irving Arts Center, Irving, TX. Will continues his work illustrating and writing children's books. Philomel Books/Penguin Books for Young Readers, have now published eleven books to date: The Legend Of Sleepy Hollow, Silent Night, Rip Van Winkle, Johnny Appleseed, Mother Goose, Hansel and Gretel, The Night Before Christmas, Will Moses Raining Cats and Dogs, Raspberries, Mary and Her Little Lamb, and his latest book, Fairy Tales for Little Folks. Will's work remains in constant demand by both private and corporate collectors alike. A few of the notable collections where his paintings may be found are those of the White House, The Smithsonian Institution, the New York State Museum, the Bob Hope collection, the Herrick collection, the Bennington Museum and the J.M. Smucker Collection. 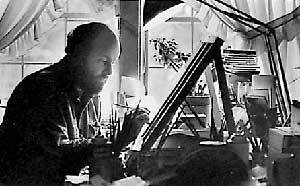 In 1982 Will, along with his wife Sharon began publishing Will's art. Soon afterward, they founded Mt. Nebo Gallery which has grown to be the primary publisher and distributor for all of Will's original and graphic art. From the very beginning, the primary objective has been to produce fine quality graphic art, using the best materials and the best art printers and keep prices as reasonable as possible. "We like to keep things simple and hopefully efficient. We give every customer prompt and personal attention. And we work to keep the integrity and collectability of the art intact by offering small 'one time' editions limited to the stated number." Additionally, each art print is personally signed and numbered by Will. While many art publishers have in recent times gone to huge editions, sometimes with follow on editions and use mechanical autograph signing machines, we have taken and proudly maintain the road less traveled. Today, Will offers a variety of different art to collectors, original paintings, serigraphs, prints, etchings and posters. Choosing art is seldom easy and perhaps the selection of your special piece is not as simple as it should be. However, when selecting art, buy what makes YOU happy and pleases YOU! Remember too, that whatever you choose, from original to poster it was made using quality and care as a guide. It will surely please you for many years and highlight your good sense of style and design as well as enhance your collection of art. Will and Sharon have three children, Jerry, Lloyd and Georgianna. The Moses family maintains a small farm at Mt. Nebo where they have chickens, cattle, make maple syrup and occasionally keep a few pigs. They manage to keep pretty busy most of the time with Mt. Nebo Gallery and farm but when time allows they still enjoy the never ending restoration of the old family farm where they live, fishing and antique collecting. Will is also an active volunteer critical care EMT and Jerry, Lloyd and Georgianna are volunteer fire fighters.